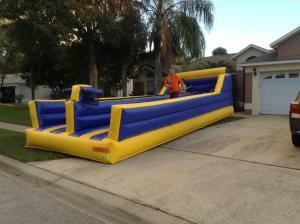 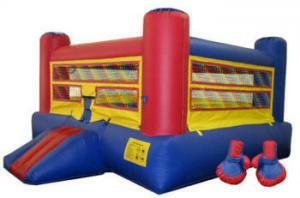 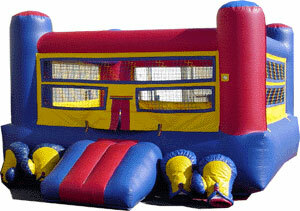 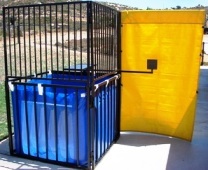 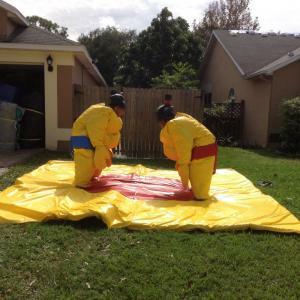 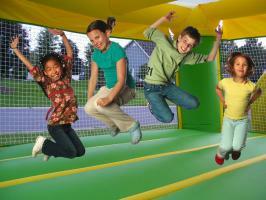 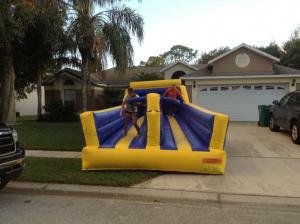 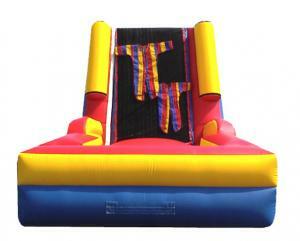 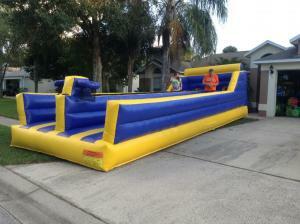 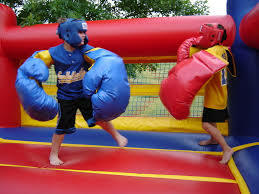 Interactive Units include Combo Units (bounce area with a slide), Infaltable Obstacle courses, or Inflatable games like Big Glove Boxing, Velcro Wall, Gladiator Joust and Dunk Tank. 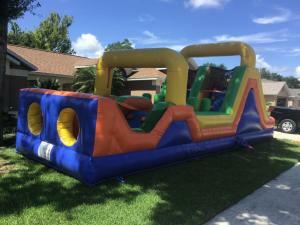 Prices are based on a 7 hour rental. 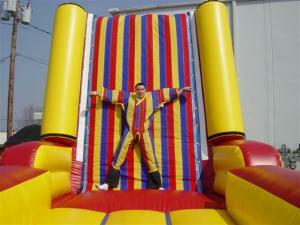 If you need additional time, add 20% for each additional hour. 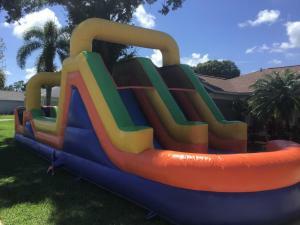 This New waterslide is 35 feet long and extra wide. 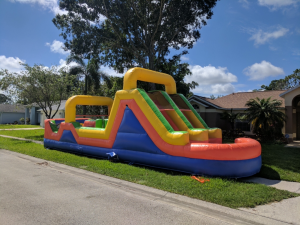 Wide enough for 3 kids to go down at once.